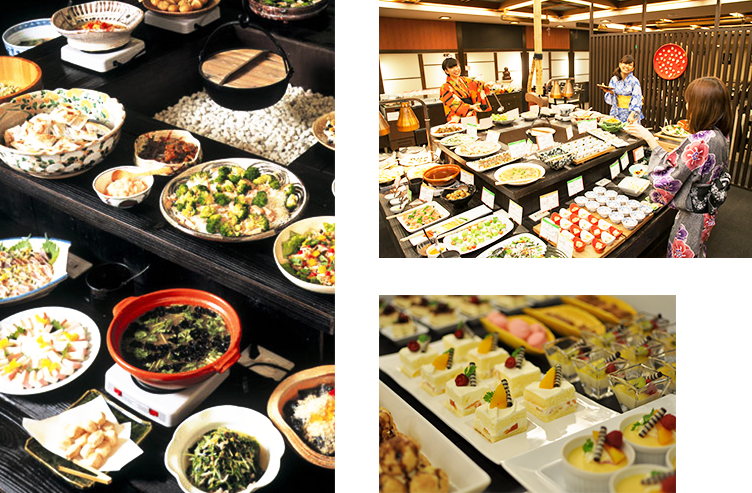 Relax and enjoy Japanese cuisine at Korokan or savor a casual buffet at Yugetsusanso. Each of our One-Day plans have been designed to offer a unique experience. 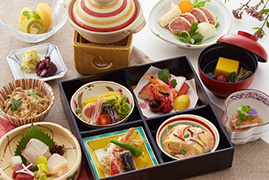 Enjoy Kyoto Kaiseki cuisine crafted by our master chefs and delivered in a 'bento' box for your enjoyment. 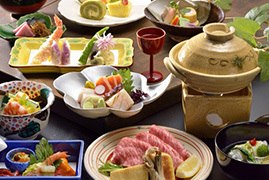 We have arranged a delicious course of Kyoto Kaiseki cuisine made from select seasonal ingredients. 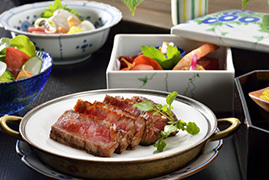 This course of Kyoto Kaiseki cuisine made from select seasonal ingredients is accompanied by our popular grilled Kobe beef. An additional 150 yen/adult, 150/child (ages 7 to 12) is charged as a bath tax. An additional 75 yen/adult, 75 yen/child (ages 7 to 12) is charged as a bath tax.